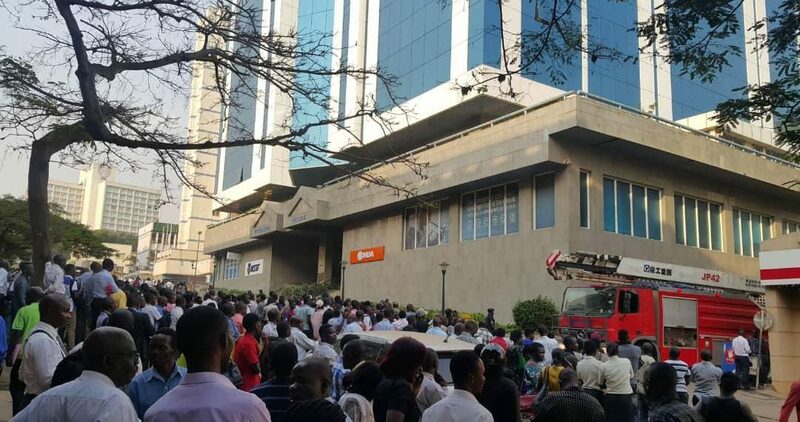 KAMPALA – A fire has broken out at Workers’ House this evening with several persons evacuated as the Fire Brigade seals off the building. This evening at about 5 pm, an alarm went off at Workers House as a result of smoke hailing from one of the basement floors of the building. Within a few minutes, the entire building has been evacuated. Police Fire Brigade has arrived on the scene. The situation is now under control,” a statement from NSSF states in part.